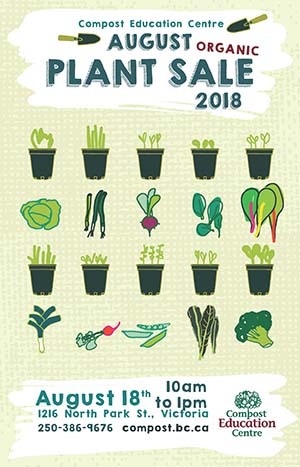 Missed the window in June and July to seed your winter vegetable garden? Not to worry, we’re hosting our 7th annual August Organic Plant sale so you can still have fresh greens and herbs throughout the winter! No need to register for this event but feel free to call our office at 250 386 9676 or contact us via email at office at compost.bc.ca if you have any questions.